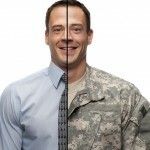 If you are a current or former member of the Armed Forces and have an educational and career dream, J. S. Bullock & Associates, LLC | The Brokerage for Dreams™ would like to do its’ part by equipping you with the skills to overcome at least two recognized barriers that many with your experience face. These barriers are often the lack of confidence and knowledge about, and access to, educational programs and professional opportunities, and the motivation to transition from military to civilian life as a returning student or as a working professional. Today, over 40 percent of military women and men pursue their associate’s and bachelor’s degrees, and 1 out of 4 military undergraduates attend a four-year public university. Among these individuals, 75 percent are veterans, clearly indicating that military personnel around the world are taking advantage of the educational opportunities that currently exist. Despite these advances, however, many veterans and military members are unfamiliar how to benefit from these opportunities. Sometimes it just involves needing the extra help to prepare application materials. Approximately 2 out of 3 veterans report that the greatest challenge in their transition to civilian life is finding employment. The perception of a lack of appreciation for their skills and training learned while in the military inhibits their confidence in pursuing a career or degree they find meaningful. With the introduction of the new GI Bill, an increasing number of institutions are providing more and more financial and tuition assistance to veterans and military students than ever before. Take advantage of the additional federal assistance currently being allocated to help increase employment and professional development among those who have performed military service. REFERENCES: Radford, Alexandria Walton. 2009. “Military Service Members and Veterans: What the New GI Bill May Mean for Postsecondary Institutions”. Washington, DC: American Council on Education. Hopkins, Kathy. 2012. “Paying for College Still a Major Challenge for Military Students, Vets.” (August 2). U. S. News and World Reports. Radford, Alexandria Walton. 2009. “Military Service Members and Veterans”. Washington, DC: American Council on Education. 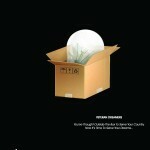 Prudential Financial, Inc. 2012. “Veterans’ Employment Challenges: Perceptions and Experiences of Transitioning from Military to Civilian Life”. Newark, NJ: Prudential Financial, Inc.  United States Department of Labor. 2012. “Women Veterans Listening Sessions”. Washington, DC; USDL. United States Department of Veterans Affairs. 2012. “For Homeless Veterans and Their Families”. Washington, DC: United States Department of Veterans Affairs. United States Department of Veterans Affairs. 2012. “For Homeless Veterans and Their Families”. Washington, DC: United States Department of Veterans Affairs.